KYOTO INFERNO – Living. Loving. Life. Kyoto compared to Tokyo is laid back, not much going on except the occasional locals on their bike. Fushimi Inari Taisha is the head shrine of Inari located in Fushimi-ku, Kyoto. 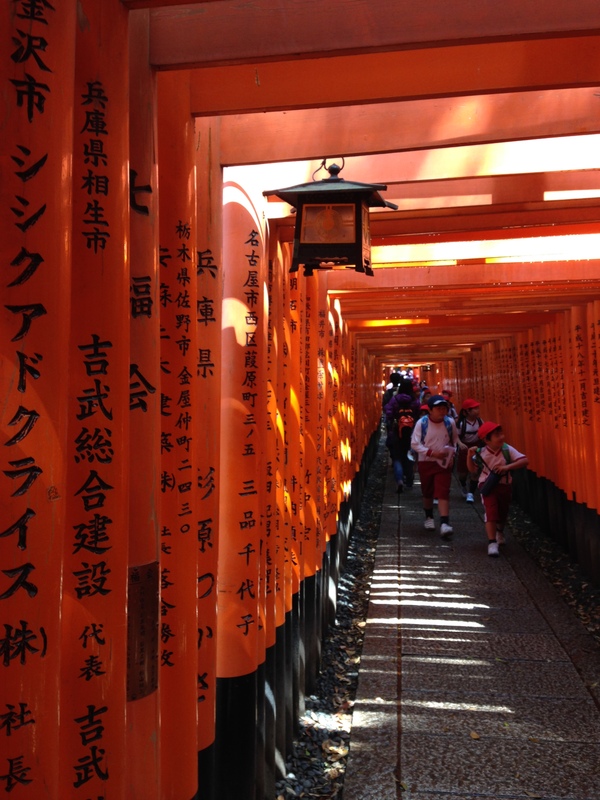 It is famous for its thousands of torii gates (color orange) which straddle a network of trails. The trails lead into the wooded forest of the sacred Mount Inari. We were greeted by a giant torii gate at the shrine’s entrance. Giant Torii gate in front of Fushimi Inari Shrine. You might recognize this from the movie, Memoirs of a Geisha. 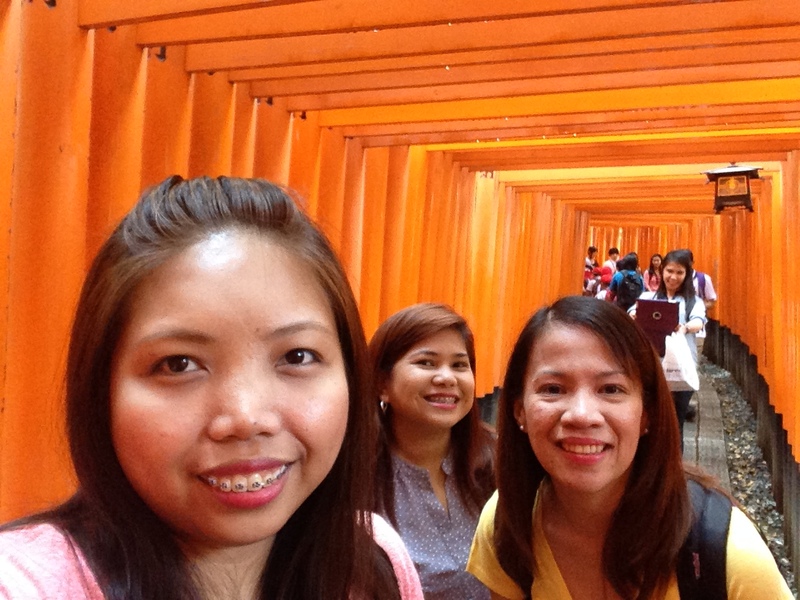 We went back to Kyoto Station Building and decided to kill time in the malls inside. 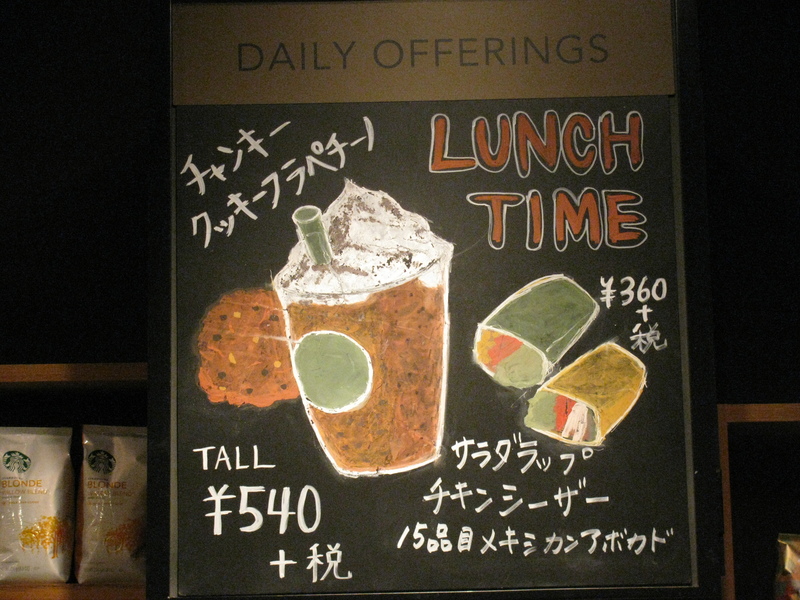 There was an Isetan Department Store, an underground shopping mall, and The Cube Shopping Mall where we left our bags. Our return flight to Manila from Kansai Airport was at 8:40PM. 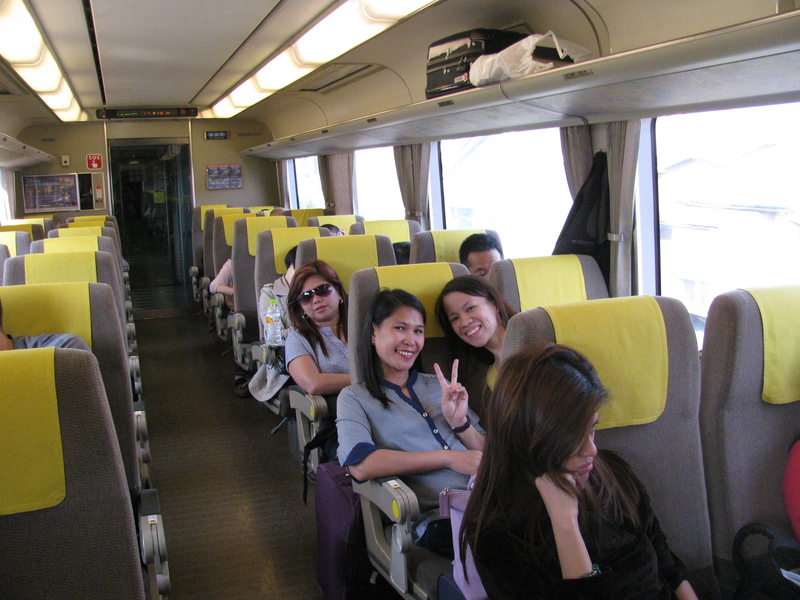 Remember our ICOCA & Haruka package included a return ticket to Kansai Airport using the Haruka train. My plan was to board the Haruka train to Kansai by 3:30Pm-4:00PM, it takes 1 hour and 20 minutes from Kyoto to Kansai so we should have plenty of time before our flight, or so we thought. Somewhere in the mall we saw a JR office and we decided to surrender our ICOCA card so we could get the card’s JPY500 deposit plus the remaining balance. One very kind woman attended to us and proceeded to give us our balance due, per person (to avoid confusions). I couldn’t decide whether or not I’d get my balance because Cyr was keeping his card as a souvenir, so I let everyone go first. It took a while because the lady was alone and there were 8 of us. I finally decided to surrender mine as well so I positioned myself at the back of the person in front of the counter (I can’t remember who it was). As I was waiting, I scanned the room randomly (I’m curious like that) and my eyes fell on the leaflets in front of me at the table. I saw “Haruka” somewhere in the leaflet and so my eyes zoomed in and my soul left my body in an instant. I consider myself an obsessive compulsive person when it comes to traveling, I try to get all the information we need to survive a foreign land and not get lost or taken by drug lords (sorry can’t help it) in the process. So when I saw that there was a schedule for the Haruka trains and the next one leaves in 15 minutes, I panicked. I picked up the leaflet, confirmed to the lady that this was indeed the schedule of the Haruka train, and then made a mad dash to the coin lockers. I explained to the group (half-walking/half-running) that I did not know there was a schedule and the next one would leave in 15 minutes, we can’t afford to lose that train because the next one would leave an hour later. Our plane could leave without us. Oh dear god, I said to myself, my bad. We got a little lost on our way back to The Cube because the building was just so big. Every minute spent looking for that damned mall was excruciating until finally we found our coin lockers. I told them to just get their bags because at that point we barely had 5 minutes before the train departs. Let me tell you everything in Japan is on time. So I was trying to put on a brave face for everyone but honestly I just wanted to cry like a little girl. 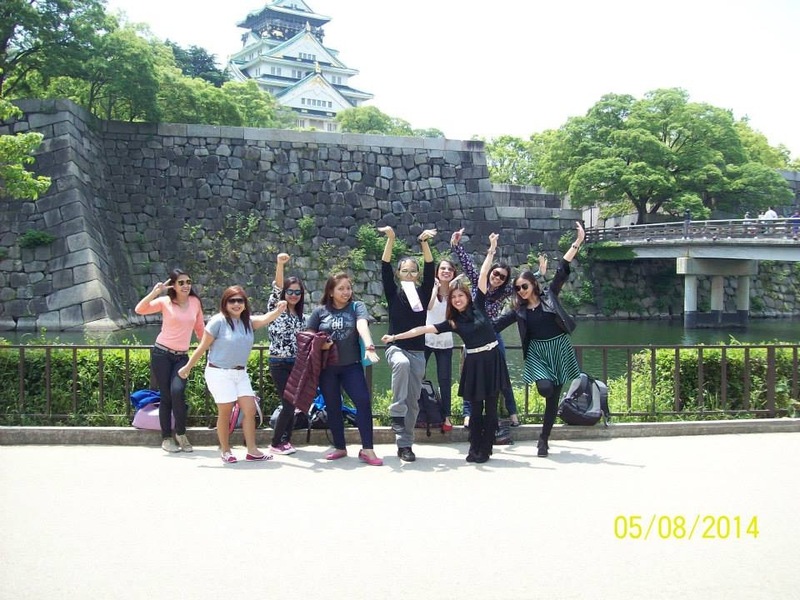 For the nth time in our Japan trip, we ran like crazy. Thank God for English signs we were able to get to the west gate where the JR Limited Express Haruka trains were. We were running and running like there was no tomorrow. Two minutes left, we reached the turnstile, the ticket gate. We had to pass through the turnstile with our bags so it took all of us a minute to go through. One minute left! The track number was given to us (I forgot the number) so we were looking for our track number amongst the many other tracks and I was losing all hopes of getting on that train to salvation. Someone finally saw our track and it was at the end of the hallway (of course), we continued to run and went down the escalator towards the train. At this point I looked at my watch and saw that we have under a minute to 3:15PM, I told myself we wouldn’t make it, I kind of slowed down. Then Mikki ran past me shouting, “Kaya pa yan lika na”, I saw my group and all of them were running (with bags!) and I smiled and said to myself, “WE CAN DO THIS”. We finally saw our train and we screamed at the conductor, “WAIT!!! !”One by one we ran into the train and literally when the last person stepped inside, the doors closed in. WE MADE IT! I counted and everyone was there safely inside. You can imagine we all looked like we were raped on the way so after grabbing for water we finally relaxed. We got to Osaka Kansai International Airport with plenty of time to spare. We decided to split up to check out the stores in the airport and spend our remaining JPYen. 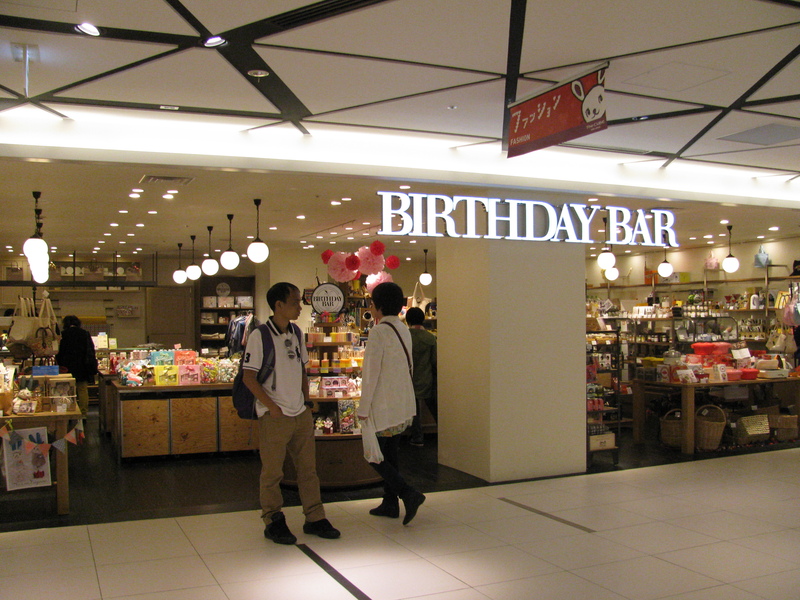 There’s the usual Duty Free inside, as well as Japanese restaurants. There is a Starbucks store inside the airport where I found a JAPAN tumbler. 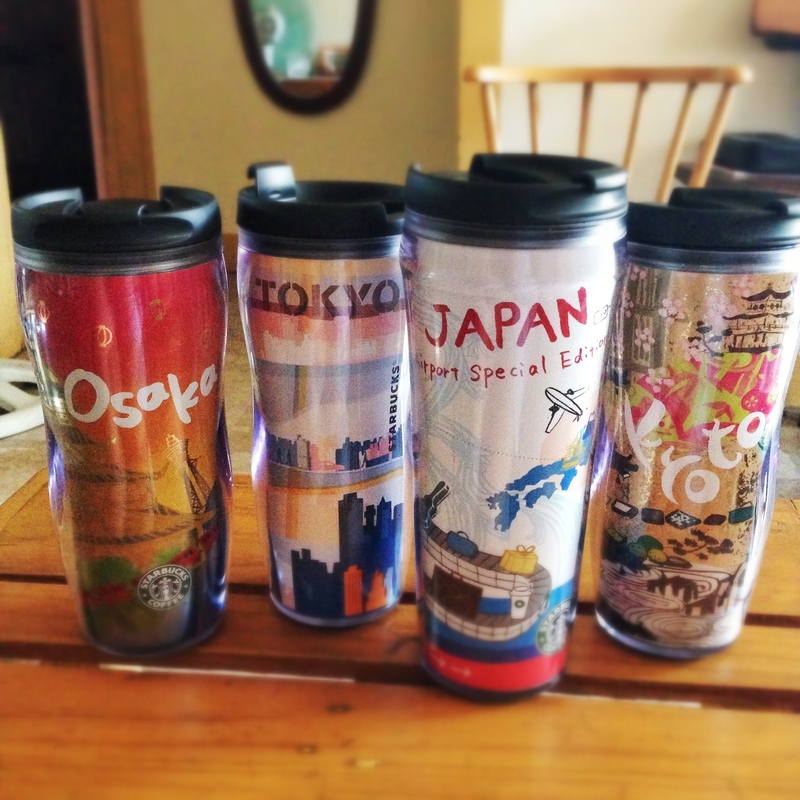 The ones I bought were specific by city and are smaller than the standard Starbucks tumbler. I was so happy to have bought 4 tumblers in 1 trip. I am one happy collector. Looking back, our dream vacation was full of misadventures, but these are the moments that we loved talking about over and over again. From the moment we landed in Osaka to the time when we were leaving Kyoto, we have experienced all sorts of bad luck. I lost my luggage for 1 whole day! The beauty in that frustrating moment is that it teaches you to DEAL with it. I learned pretty quickly that I should be calm and collected, because there’s no other choice. Screaming and shouting at the people around you would not make things better or solve the problem quicker. Learning how to be calm and not grow frustrated or upset when dealing with the array of travel issues people face is probably one of the most valuable skills you can acquire that will not only apply to traveling, but the rest of your life. I love my travel buddies because they crave for these adventures, and whatever problems we go through, we always come through laughing. The group learned how to roll with all the challenges in our trip, and because of that we are CAREFREE. They say you create a special bond with people you travel with, and I say this is true. You eat with them, walk miles with them, share beds with them, laugh with them, and solve problems with them. I am proud of my group because everyone is a team player. I know they are not just travel buddies, they are friends for life. Photo credits to Arfe Lotho. Go to my Facebook page for more pictures of our JAPAN Trip. Note: All photos used in this blog are mine except otherwise stated.